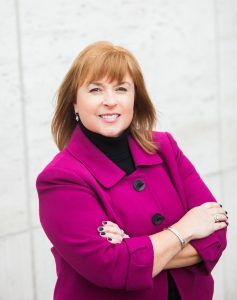 Colleen Smyth, Esquire is a founding member of Counselors Title LLC and a principal with the law firm of Pardo & Drazin, LLC (formerly Darby, Nalls, Smyth & Muldoon, LLC). She is also the Managing Attorney of the Counselors Title Kentlands Office. Colleen is a member of the Montgomery County and the Maryland State Bar Associations. She received her Bachelor of Arts degree in Economics and Political Science from the University of Maryland in 1990 and went on to obtain her law degree from The Catholic University of America in 1993. Colleen is a long time resident of Montgomery and Frederick Counties and has been involved in real estate transactions since 1988. Colleen was a former principal and member of the Senior Management Team of Universal Title, and of Ridgway, Griffin, Kestner and Smyth, Chartered and was with Universal from 1993 until September, 2007. She is experienced in all aspects of the residential real estate transaction and enjoys teaching continuing real estate education courses for local realtors.